Pemberton Heights is the northern extension of the famous Tarrytown neighborhood of Central Austin. Bounded by Westover on the north, Windsor Road on the south, Mopac on the west and Lamar on the east, the neighborhood sits majestically on the bluffs above Shoal Creek Selected by Town and Country magazine as one of the 25 Platinum addresses in the US, it’s easy to see why this lovely neighborhood with its graceful homes and tree-covered streets is so admired. The Austin Development Company, which developed Pemberton Heights in the late 20’s, advertised Pemberton Heights as a ‘well balanced’ community with some streets planned for “fancy $3500-$4000 cottages” and adjacent streets reserved for “$150,000 mansions.” They highlighted the neighborhood’s amenities in a brochure, “…with over five miles of paved and shaded streets and sidewalks, and over seven acres of private park adjoining and adjacent to Pease and Enfield Parks on the north…” A number of homes in the area have historical designations, including the Keith House at 2400 Harris Blvd. and Pemberton Castle, otherwise known as the Fisher-Gideon House, at 1415 Wooldridge. 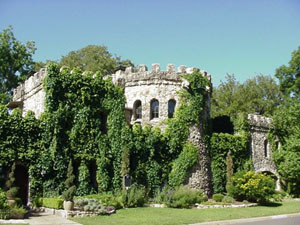 The castle is designed to look like a Scottish castle, and was owned for a time by Professor Samuel Gideon, an architect at UT. 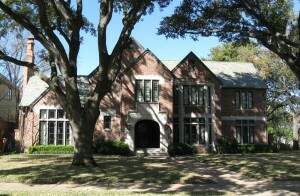 Professor Gideon is credited with restoring the home to its English air styling during his ownership from 1937 to 1954. 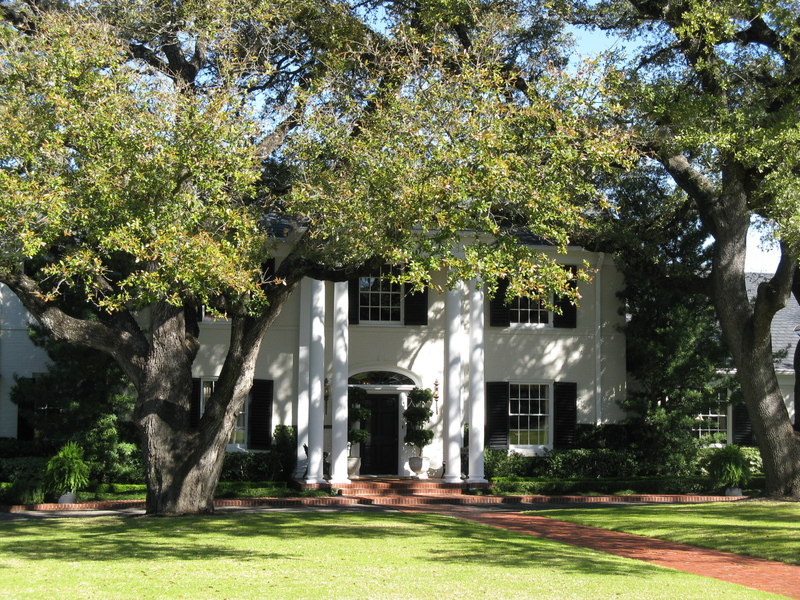 The Keith House exemplifies characteristics of the Monterey Revival and the Colonial Revival styles popular in the United States during the 1920s. 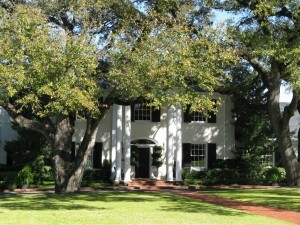 It is considered to be the earliest example of the Monterey Revival style in Austin. The variety of homes in Pemberton Heights is as diverse as the older Tarrytown neighborhood directly to the south. Styles include Tudor, craftsman, colonial traditional, cottage/bungalow, Old World Italian, Monterey Revival and many others. Primarily built in the 1930s and 1940s, homes continued being constructed through the 1950s and 1960s and finally in the 2000s. Prices vary enormously, but they don’t come cheap! The smallest homes of two beds and one bath will cost over $400,000. And over half the homes will cost over $1M and range as high as $2.5M for a 6,800 square foot mansion. The average homes will be four beds and three baths and cost around $1M and over 3,000 square feet. The adage, “you get what you pay for” certainly applies here, because the prime location, only blocks from the UT campus and a mile from downtown, will convince the sophisticated buyer that this area is well worth the cost. Situated along Pease Park and the Shoal Creek Greenbelt, the Pemberton Heights neighborhood has a location that is hard to beat! 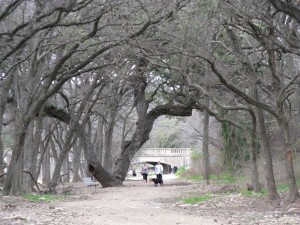 Walking along tree-shaded Shoal Creek with your dog and visiting with the neighbors is a favorite past-time for many residents. Access Mopac Boulevard, for an easy commute to shopping meccas, or hop on Lamar for a quick trip to any of the downtown dining establishments. You’re only minutes from dining, shopping and entertainment throughout the city.